Sewage-Free Streets and Rivers empowers community organizations to engage residents and small business owners to shape the solutions that will be adopted in July 2020 to reduce localized flooding and the raw sewage dumped into our waterways. We all want sewage-free streets and rivers that keep residents healthy and allow small businesses to flourish. However, when it rains in 21 New Jersey cities and towns, raw sewage pours into rivers and backs up into basements and onto streets. This is known as a combined sewer overflow (CSO). 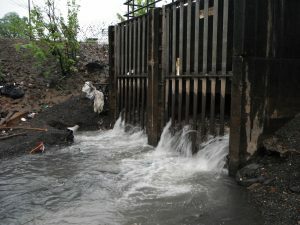 In 2015, the New Jersey Department of Environmental Protection sought to address this issue by requiring these communities to develop Long Term Control Plans by 2020 to reduce sewage in our waterways, and to submit a report by July 2019 that identifies the various options they will evaluate to achieve this goal. Implementing these plans will cost billions of dollars over the next 30 years and will have significant effects on residents and business owners for generations to come. The people who live, work and run businesses in these cities — that’s you! — will pay for these upgrades and should have a strong role in shaping the plans. Your voice is needed to ensure that the solutions are affordable, keep residents healthy, invest in local jobs, businesses and neighborhoods, and create more green spaces that promote climate resiliency. 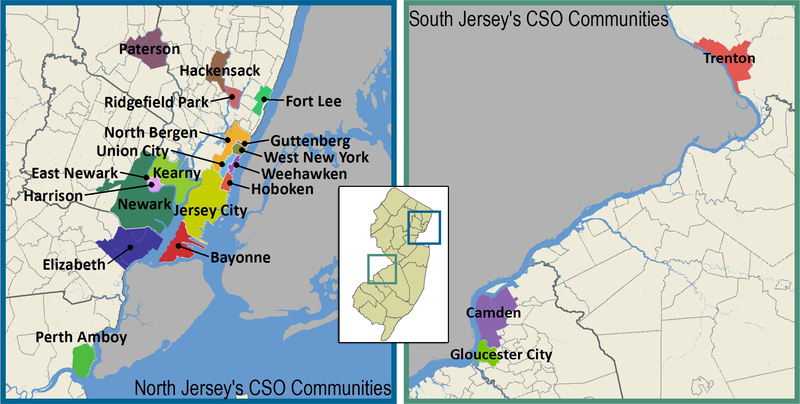 Include a Public Conversation: Each CSO municipality or sewer utility should collaborate with the relevant local group(s) working to address combined sewer issues, known as Supplemental CSO Teams or Municipal Action Teams, to organize at least three well-attended and accessible public meetings on the proposed sewer infrastructure upgrades, so that all voices are heard before the July 2019 evaluation of alternatives report and July 2020 Long Term Control Plans are submitted to the New Jersey Department of Environmental Protection. Reflect Community Values: Each CSO municipality or sewer utility should work with local community groups, residents and small business owners to identify community priorities, and use these priorities to evaluate the solutions being selected in the 2019 evaluation of alternatives report. Before the final plans, known as Long Term Control Plans, are submitted to the New Jersey Department of Environmental Protection for approval, each municipality or sewer utility should provide ample time for residents to review and comment on draft reports, share with the community how their input was incorporated, and include this explanation in its final report.